Looks like you found a nice one, but look at the Tech FAQ section there for all the usual niggles. Thanks, John. I’ve been a member of that forum for many years. I found this car on that site, actually. Posted with no pictures and it got no interest. It was local to me and I snagged it. Broke out the detail kit. Clay bar’d it, Griots correcting cream polish, 2 coats of wax, treated all the leather, plastic, and rubber... paint is still pretty deep for 30 years old. It's beautiful. I've had my black car- that's all you! It really is beautiful. Ahh - the compleat deal. Many long loving hours later - a work of bavarian art. Kudos Ed. Makes me miss my 533i. Whenever you get around to swapping in the manual, consider dropping in a 3.73LSD from an E30 325is. I did that on my car - it really woke it up, and the increased RPM wasn't obtrusive. Hmm, which diff came with the 535isA? 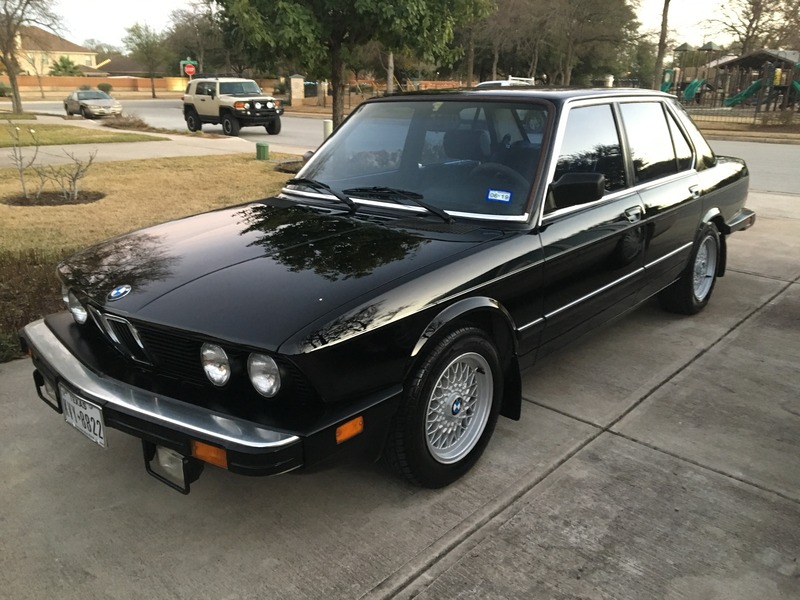 The US M6 got the 3.91LSD, while the euro M635 got the 3.73.
consider dropping in a 3.73LSD from an E30 325is. I have certainly thought about putting a lower gear into it. I know when I put the 3.91 into my 2002, the car came alive! If I go to the 5 speed, I'll certainly consider the 3.73 LSD. This car has an open 3.25 diff. The 535 cars came with a 3.25 gear. The M5 got the 3.91LSD. Wow Ed, this is pretty. Very nice find. Went for a nice drive drive yesterday and all was well.